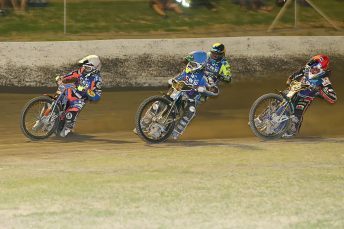 The Australian Speedway Senior Solo Championship is back and ready to kick it up a gear, in 2018 we will see Australia’s best battle it out to take home the title. The field includes returning champion Sam Masters who will have his hands full trying to retain his title, with the likes of Justin Sedgmen, Max Fricke and Rohan Tungate hot on his heels. Speedway fans can expect fireworks from night one of the 2018 championship as we kick off at Loxford Park Speedway on 6 January, followed by Undera Speedway on 10 January, Olympic Park Speedway on 12 January and wrapping up the season with a thrilling final round at Gillman Speedway on 14 January.